Cryptocurrencies, for the most part, have made advances across the board yesterday. With optimism coming up let's take a look at the charts for XRP. The XRP/BTC is finally looking positive. The bulls held the 4800 sat line for several days establishing a strong level of support at this level. Of note is that last year Dash was the market leader that spurred the alt-coin rally. We're looking at a possibility of the same play this go around. 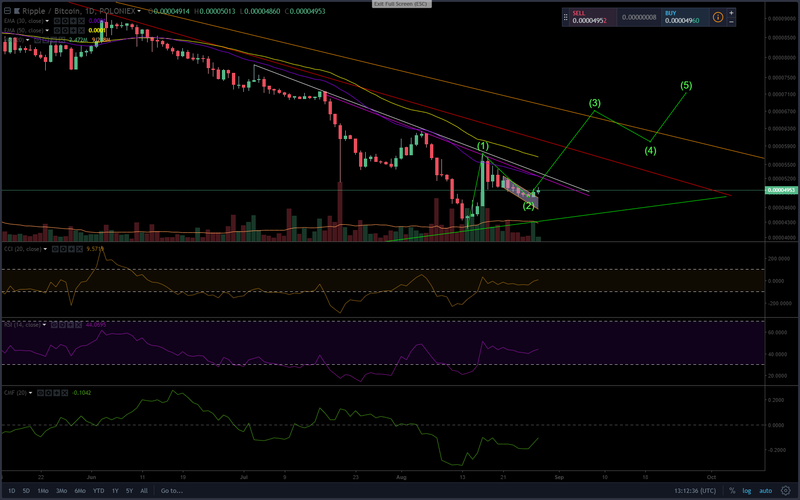 If this is indeed the case then we could see XRP/BTC entering into a Wave 3 that could rally the cryptocurrency to challenge the long term resistance with a target of 6700 sats. Granted this would require quite the volume increase so we are cautiously optimistic that a rally is in the making. Traders can enter with 50% the usual and then enter if the pair sustains above 5300 sats for four hours. The XRP/USDT has also begun to rally following BTC's move upwards. XRP currently is at $0.35. 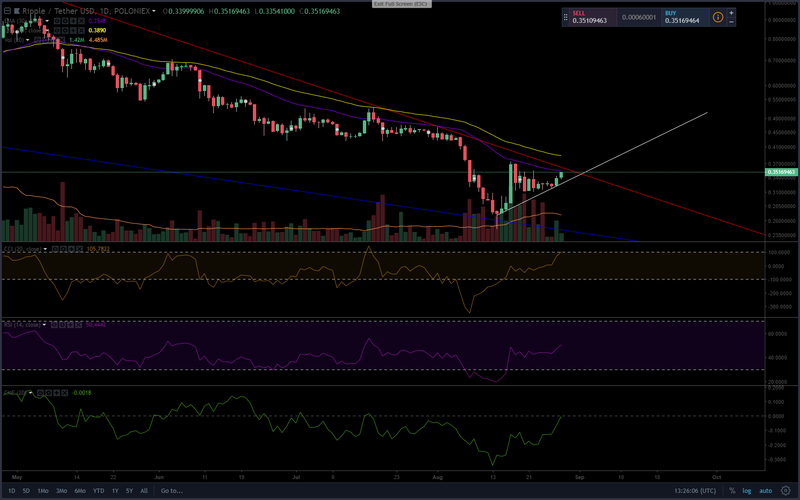 As the market becomes bullish again we are looking for XRP/USDT to challenge the previous support now resistance at the $0.44 region. As with the XRP/BTC pair traders can enter at current levels with 50% the usual and add to position if the pair holds above $0.38 for a four hour candle close and target $0.44.